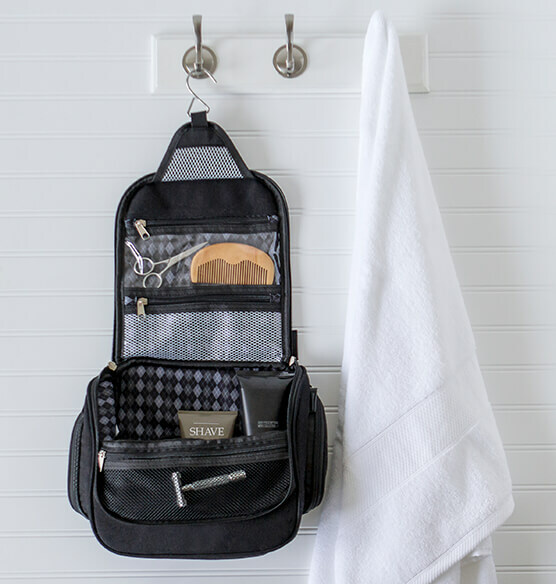 The Personalized Men's Waxed Canvas and Leather Hanging Toiletry Bag is the perfect way to travel while keeping all your essentials close by. 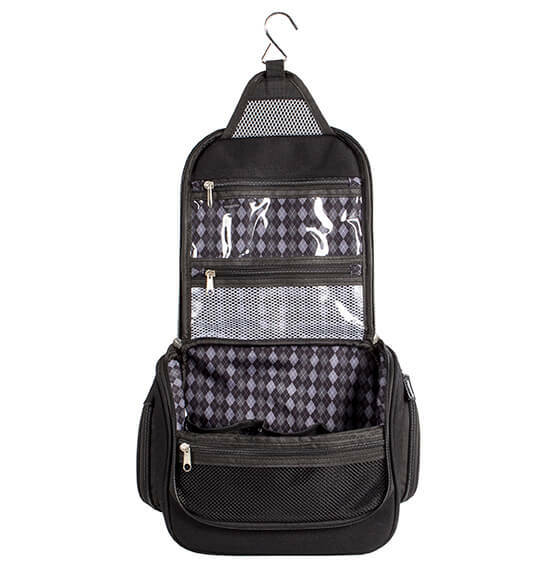 This hanging toiletry bag features three outside pockets, three inside zippered pockets, three inside open mesh pockets, and a hook for easy hanging. 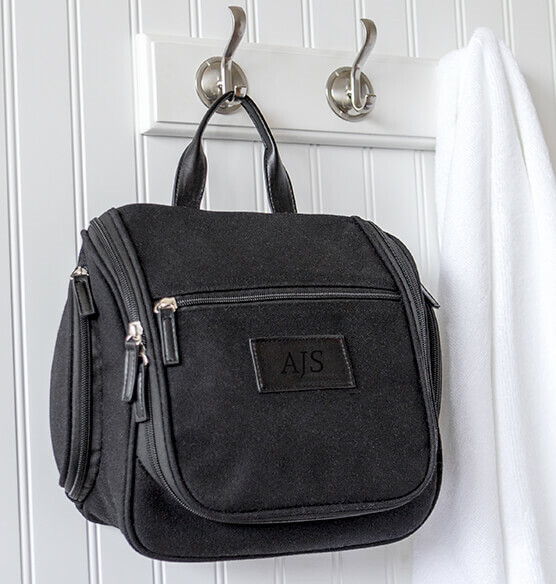 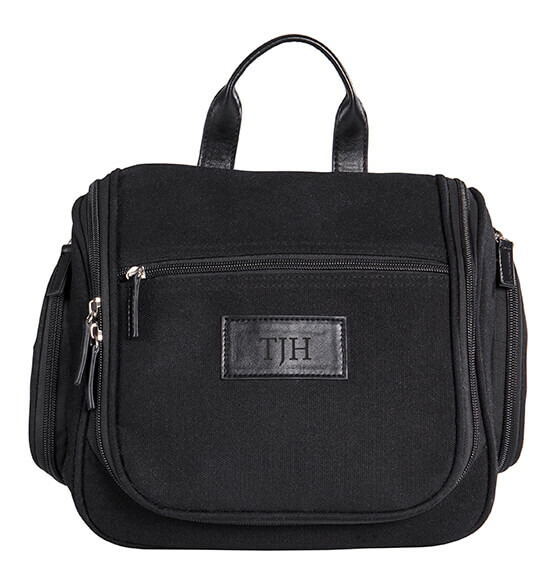 A great gift for those who are always on the go, it will become their favorite traveling companion.